I vividly recall a scene from 8th grade, even though it happened almost 50 years ago. I attended a Catholic school, and many of the teachers were nuns. On this particular day, Sister “Mary” had just walked back into the classroom. We could tell she was angry but no one could guess why. She marched up to a student whose desk was in the front row, and she commanded him to stand. His face turned bright red, most likely from embarrassment and the sting from the slap. He straightened his desk and sheepishly slithered back into his seat. This was not the first or only occasion that Sister Mary delivered a slap to a male student that year. While the girls were spared such physical abuse, they did endure degrading verbal attacks. 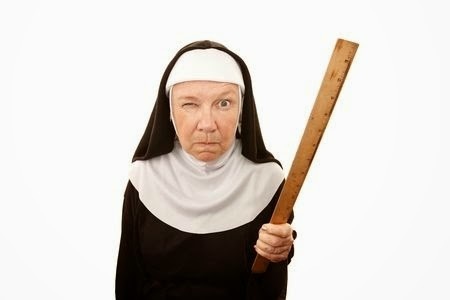 Sister Mary controlled the students in her classroom using fear and humiliation. That approach worked if you measured results by compliance. We were scared into a level of obedience that squelched any spark of individuality or creativity. I’m sure Sister Mary thought she was teaching us valuable lessons. But in fact, she created an environment where students silently resented her actions and couldn’t wait to get away from her. She had no clue about what it takes to motivate young people to give their best effort. Unfortunately, some adults today continue to use such tactics to intimidate people at work, at home or at school. In their roles as boss, parent or teacher, they require strict observance of their rules. When those rules are not followed, there’s hell to pay. There’s no attempt to understand the needs or wants of others. No interest in having a reasonable conversation to discuss alternative points of view. And so, those affected by the person in authority can end up feeling threatened, humiliated or afraid. They might conform to the requirements, but they are repelled by the leader’s behavior. They’re likely to become angry and resentful about the treatment they’re receiving. They may be outraged at the unfairness they’re experiencing personally or observing happen to others. If you’re in a position to influence others, take a close look at your own approach. As a parent, how do you respond when your children ask questions that challenge one of your rules? How often do you invite them to tell you the reasons behind requests they make so you can truly understand their perspective? As a leader, what do you say or do to communicate to others that you value their ideas and contributions? That you appreciate who they are? On a daily basis, examine ways that you may intimidate the important people in your life. Look closely at what you do or don't do to encourage and support them. If you’re not sure how they perceive you, just ask what they’d like you to do more of and what they’d like you to do less of. You’ll discover what would truly motivate them to give their best.